In a recent California case, Holmes v. Petrovich Development Co., 119 Cal. Rptr. 3d 878 (Cal. Ct. App., 3d Dist. 2011), the court determined that email communications from an employee to her attorney while at work were not privileged. What sets the Petrovich decision apart from other decisions made outside the state of California is its common-sense conclusion if an employee is warned that his or her company emails are not private or confidential, then that employee’s company emails are not properly considered private or confidential. Petrovich, 119 Cal. Rptr. 3d at 895. The Petrovich decision suggests that a strongly worded policy restricting personal use, agreed to by the employee, is sufficient to strip the employee’s communications of privacy and confidentiality. 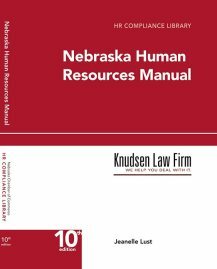 An employer’s strongly worded policy and an employee’s acknowledgment of familiarity with the warnings contained in the policy or handbook (signing the employee handbook) may prove to be the best uniform procedure to shield an employer from the inconsistent legal issues of privacy—at least in California. Although the Petrovich decision contains a number of helpful insights for California employers, the court’s determination was fact-specific, and different factual circumstances may result in different judicial decisions. Other states may use Petrovich as a navigable approach to a convoluted area of the law.